H.G. Wells is justly famous as a writer of short stories, but for too long the originality of his contribution in this field has been unacknowledged. 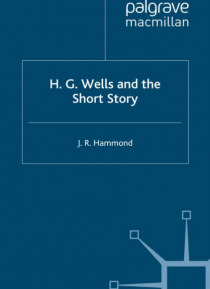 The present study argues that in his short stories Wells was not simply emulating the styles and themes of his predecessors but making a distinctive contribution to the genre grounded firmly in his approach to fiction. The study demonstrates that Wel… ls's short stories merit far closer critical attention than they have yet received and possess considerable psychological and symbolic insight.